Curiouser and curiouser... our dear Alice just couldn't keep herself out of trouble in Wonderland... then again, who would be able to resist a bunch of delicious looking cakes that are literally begging "Eat Me!" ? The golden yellow top layer smells of those tasty cakes topped with mounds of creamy icing. 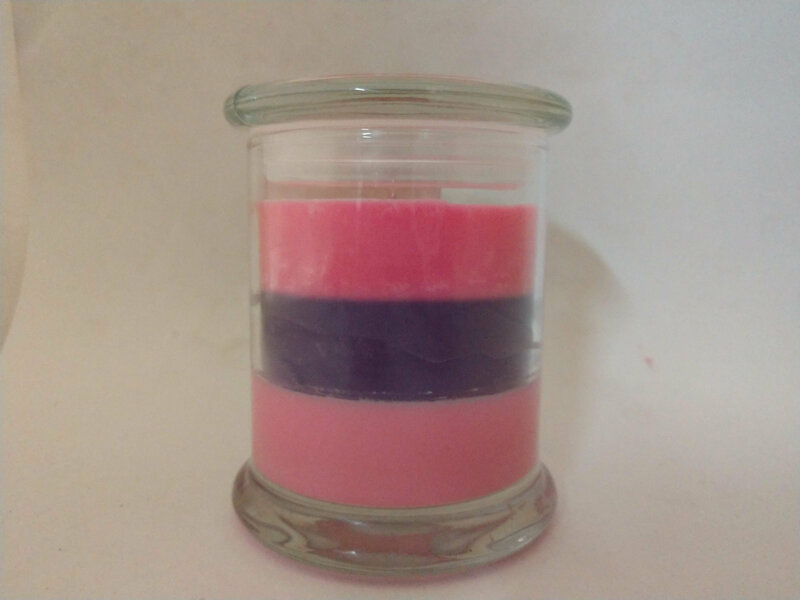 "Dreams", the middle layer, is a calming and sweet fragrance that might just lull you into a very curious dream as well. 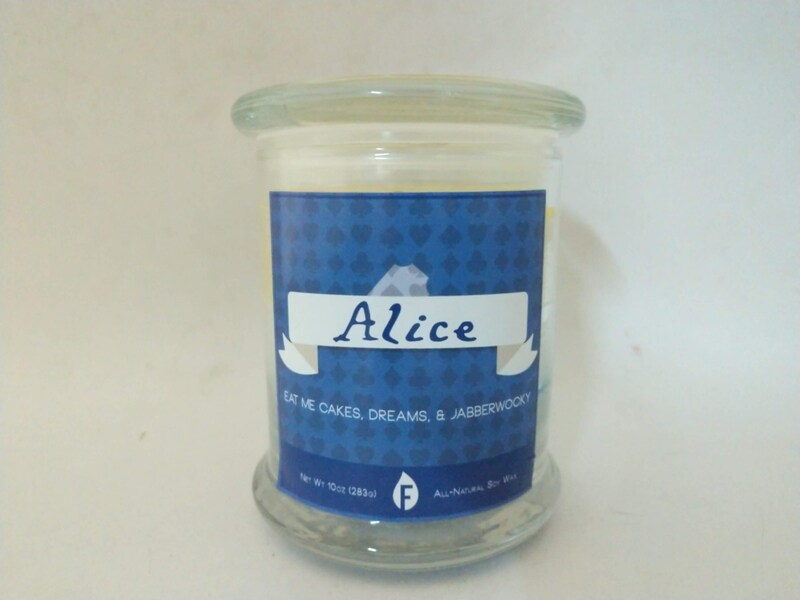 The lovely blue final layer symbolizes the nonsense poem called "Jabberwocky" Alice discovers when she first enters through the looking glass. The subject of this poem is a dragon-like creature called the Jabberwock which is expressed by a blend of medieval-esque scents like dragon's blood and frankincense and myrrh over a woodsy background. 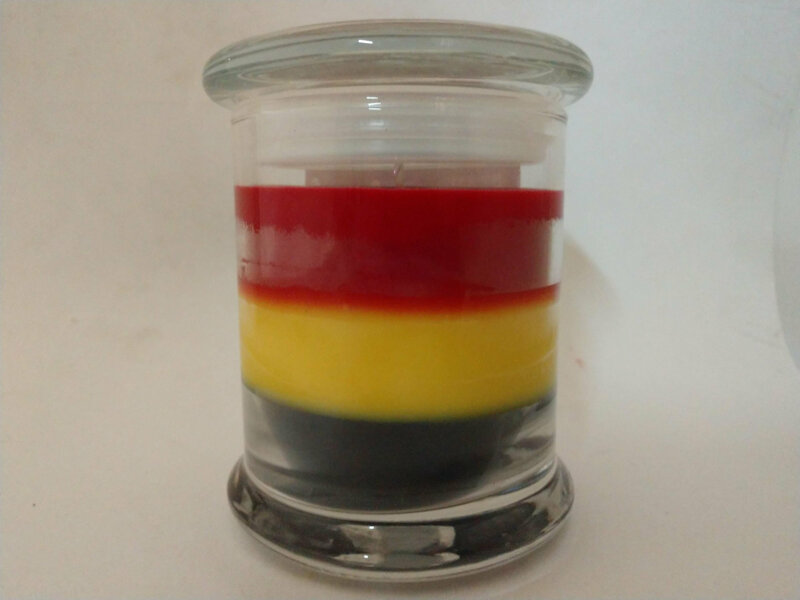 This candle is for those that might consider themselves "odd" and prefer their scents to reflect that. A perpetually grinning feline that can disappear and reappear at will, the Cheshire Cat is mischievous and rather bizarre. 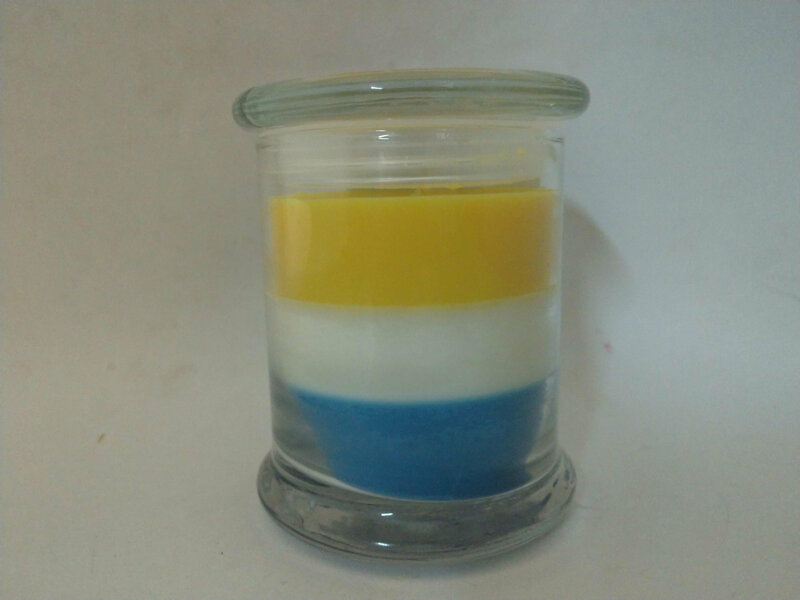 His namesake candle has layers that alone may seem normal, but as they fade into each other the combination becomes a bit... mad. The refreshing and green top scent of catnip vanishes into the next strange layer named "madness"- a word represented by its fragrant synonym. Can you guess what it is? 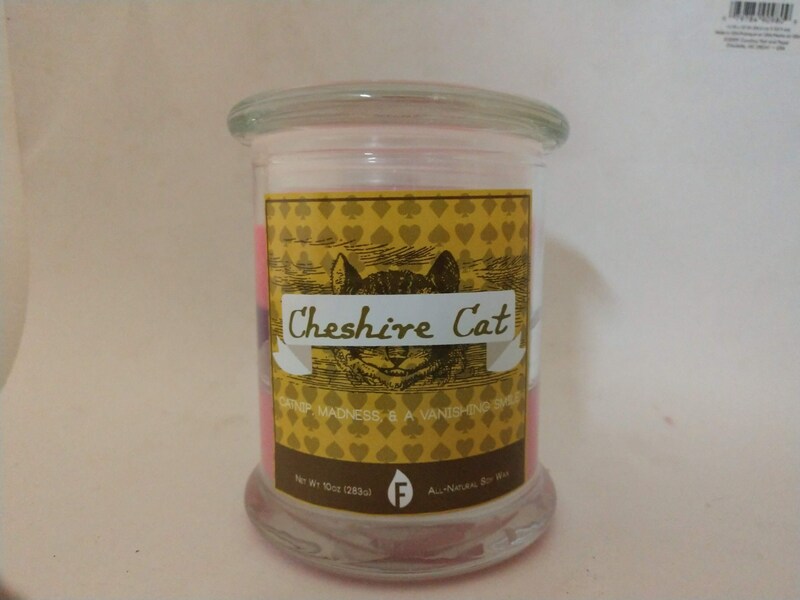 Cheshire Cat's middle layer is a slightly creamy, smoky, and sweet blend of roasted nuts. Get it? Nuts! 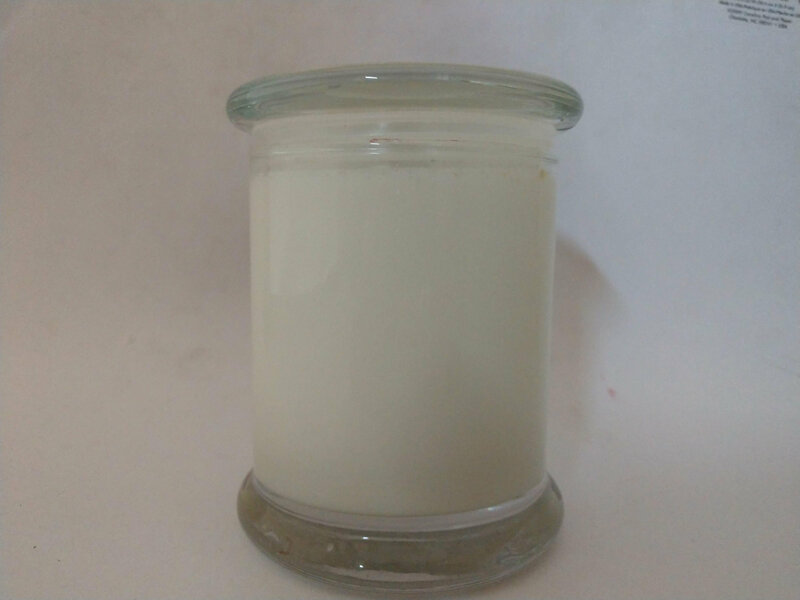 Lastly the candle finishes off by dissolving into the mysterious and deep aroma of midnight jasmine- a scent as mystical as the cat's own disappearing grin. A very regal candle fit for a tyran- I mean... queen. 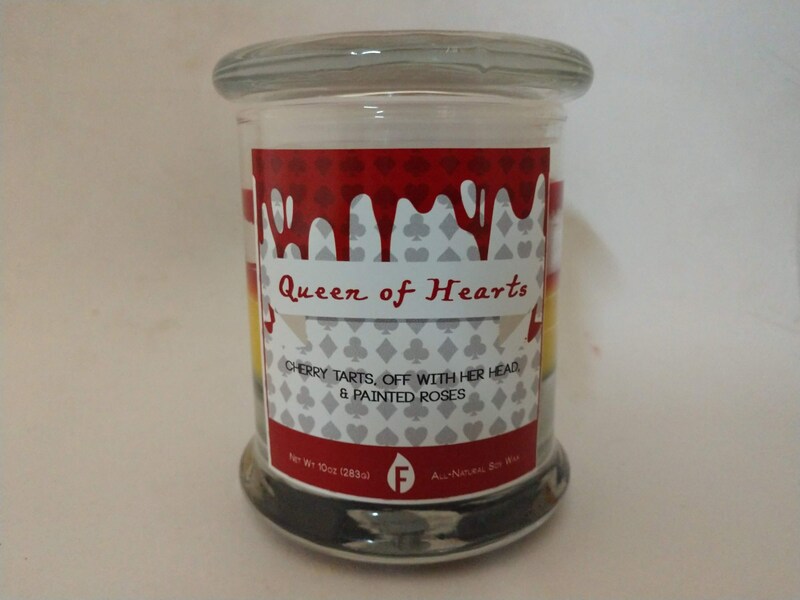 The iconic colors of the Queen of Hearts playing card are bold and exciting, much like the ruler herself. The top layer boasts the aroma of her scrumptious tarts, infamously stolen by the Knave of Hearts. Her favorite phrase "Off with her head!" is embodied in the middle layer by the juicy scent of blood orange- a much less violent but appropriately named fruit. And the last layer is a beautiful and fragrant rose scent. Hopefully these roses are actually red. Oh Mister Rabbit... poor White Rabbit doesn't know what he's gotten himself mixed up in. He tries to get his housemaid Mary Ann to fetch him a pair of gloves, not realizing it is not in fact Mary Ann, but Alice! 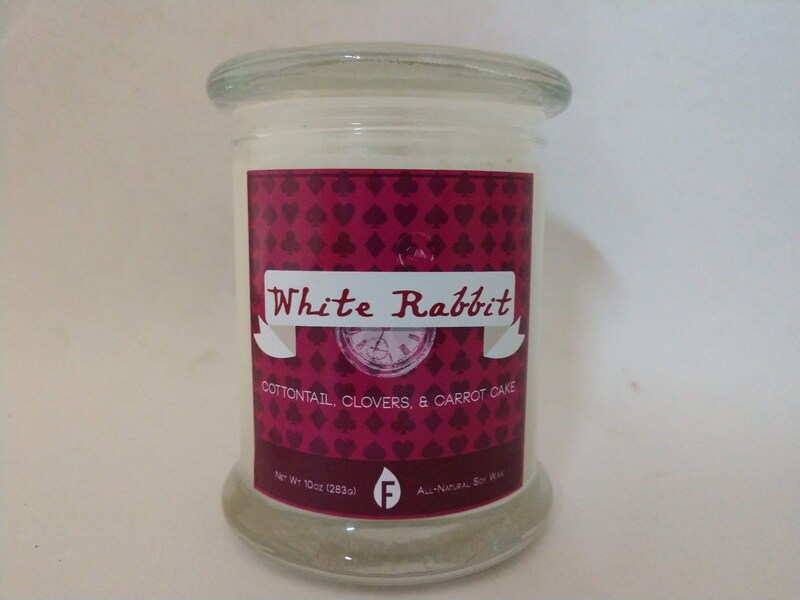 The scatterbrained and timid Rabbit's candle is a pure white as his name suggests, and has a fresh but complex bouquet of carrot cake (certain to be a favorite treat of the Rabbit's at a tea party), clean cotton (to represent both his crisp clean gloves as well as his cotton tail), and a hint of clover - a leaf universally loved by rabbits everywhere (even those in Wonderland). Just don't let it burn for too long, or you'll be late, too! 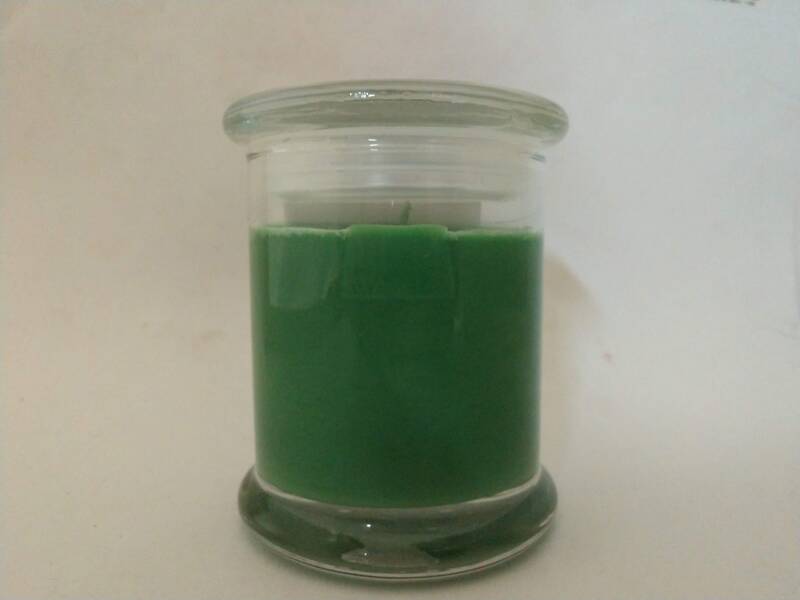 There's always room for more tea... and with this candle, there's almost nothing BUT tea! 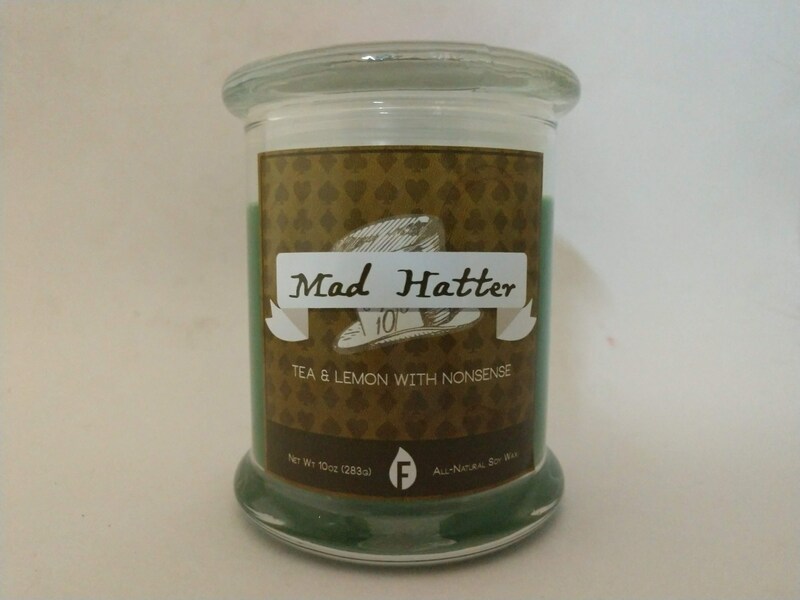 Our favorite Hatter would approve of his candle, as it is a fragrant blend of not two, not three, but FOUR different teas! Black, white, green and chamomile teas mix together with a light bit of jasmine and a squeeze of lemon - sure to satiate any mad tea party-goer!